In-vitro models are important tools for biological research and cell-based assays are used to predict drug activity, metabolism, and toxicity in-vivo. 2D monolayer culture systems in vitro tools are a typical tool used within the pharmaceutical industry at the drug discovery stage of their research and development programme. The assay is simple, fast, cost-effective and reduces the number of animals being used within the study. Unfortunately, as little as 10% of compounds actually progress through all clinical stages of drug development. This has been linked to the lack of clinical efficacy and/or unacceptable toxicity. A portion of these failures, at Phase III clinical trials, lead back to the cellular responses to the drug obtained from the 2D systems. This is because they do not represent in vivo responses. Cells within in vivo environments are surrounded by other cells and encased within an extracellular matrix. This forms a natural three-dimensional setting. 2D Monolayer cultures, therefore, lack the native 3D environment. The high cost of drug discovery failures has led to the development of 3D in vitro models. These allow cells to grow or interact with their three-dimensional surroundings. The cells are embedded within an artificial scaffold to mimic the life-like environment of testing on living tissue. Numerous studies have shown cells grown within 3D in-vitro models to be physiologically relevant and retain an improved biological functionality. What does Labskin 3D allow you to achieve? 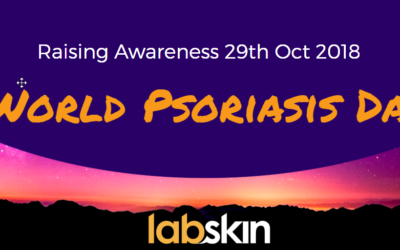 Induction of psoriatic skin by mimicking the inflammatory response. Induction of atopic dermatitis-like features. Modified skin cultures to mimic melanoma (a type of skin cancer). The addition of human malignant melanoma cells with the keratinocytes within the model has been shown to closely follow the progression of melanoma in-vivo. These realistic diseased models provide a robust platform to study. They offer a greater understanding of these diseases. They are a tool to develop therapeutic treatments for these conditions. 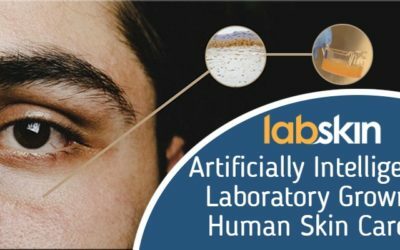 Labskin provides a more realistic three-dimensional environment that is able to provide a more appropriate representation of biological responses when compared to living human skin. No compound is unique, so why should all 3D in-vitro models be the same. Standard or bespoke, Labskin models will solve your development problem. Call or email now and tell us what you want help with.